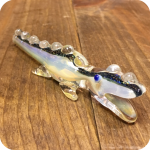 At only 2 inches in length, these small glass bats are the tiniest fifka bats available for purchase, but they pack a smooth punch! These classic bats from Poland have undergone a subtle design change that makes all the difference when it comes to longevity, easy cleaning, and smooth airflow. The bowl is the same in size and function, with enough room for a small amount of finely ground material ideal for quick solo smoke sessions. Instead of two indents in the glass on the side of the pipe, however, there is now a bulging ring that narrows the width of the circular hole. This means that the airflow is less restricted and there is less chance of built up material clogging the stem. Cleaning the pipe is easier than ever with this more traditional bowl style, whether you’re using a poker to dislodge any leftovers or washing it with cleaning solution. The small design change is elegant and simple in look, but also functional and convenient. The flattened mouthpiece remains from past iterations of the pipe, and it is just as comfortable as before to rest between your lips and makes one-handed hits all the better. 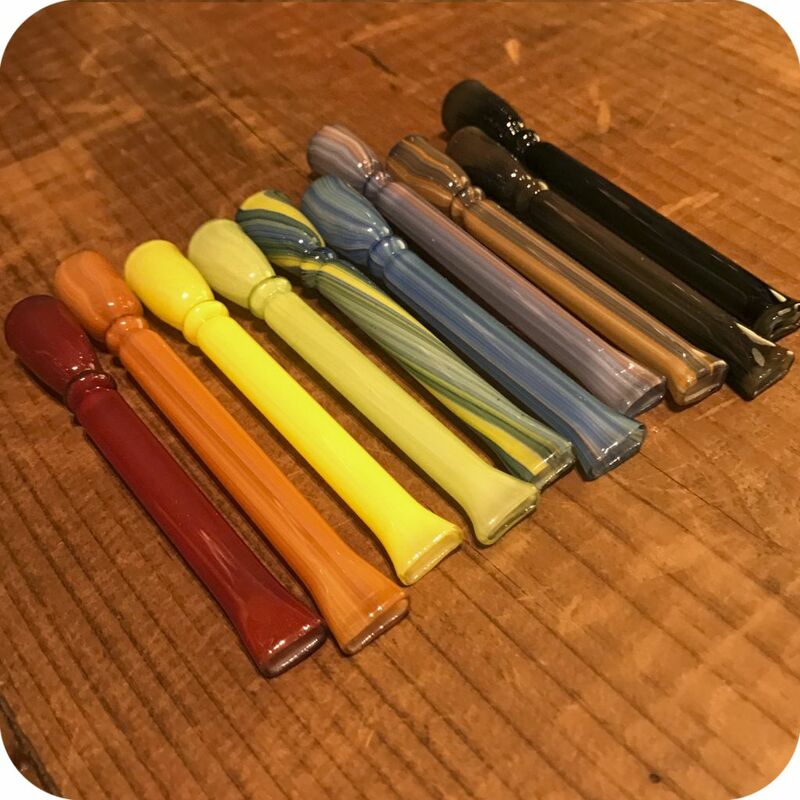 These small pipes not only function as one-hitters, but can be utilized as stylish cigarette or roach holders. Each fifka pipe is a distinct color or blend of striped patterns, ranging anywhere from a translucent and shimmering orange-red to a bright and playful mix of orange, blue, and white. There is also jet black, yellow, blue-green-brown stripes, orange, deeper reds, light green, brown, and a variety of nearly everything in between. 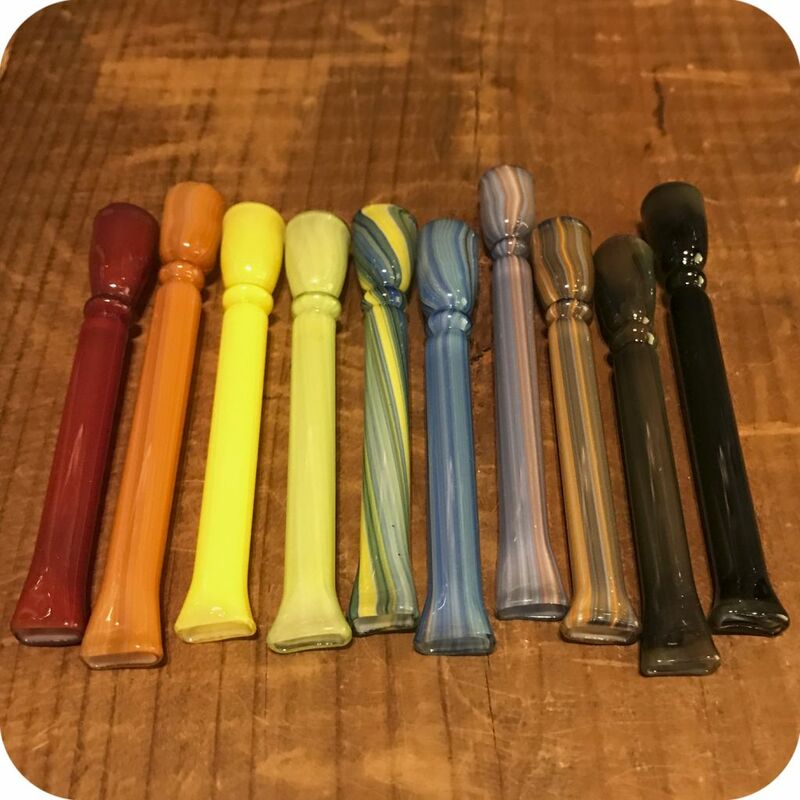 Their playful design, portable size, and ingenious new design make these small glass fifka pipes an essential for the on-the-go smoker looking for something affordable without sacrificing style. Please specify your color preference in the comments/notes section of your order! 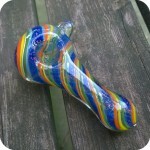 Categories: Glass Pipes, Glass Bats, Dugouts and Bats, Bats. Tags: bat, bats, brooklyn smoke shop, Fifka, glass, glass pipe, nyc smoke shop, one-hitter, small bat.